Universal Martial Arts Dojos-Traditional & Modern MA proudly teaching the Chuck Norris System. Focusing on self-protection, fitness, group seminars, mixed martial arts, weapons, sport karate, & youth development. The Chuck Norris System (CNS) is a Korean-based American hard style of karate. The style was founded by Mr. Chuck Norris, and was originally based on Mr. Norris' Tang Soo Do training in Korea while he was in the military. During his unprecedented competitive fighting career (undefeated world middleweight karate champion six years running), Mr. Norris began to evolve the style to make it more effective and well-rounded. He did this through committed study of other systems which he felt would complement his Tang Soo Do foundation. This evolution, along with his personal commitment to excellence, resulted in his phenomenal success. This openness continues today, as the Chuck Norris System continues to evolve to include aspects of other systems, or completely original aspects which make it more complete. Having gone by several names since the early 70's, including the Chuck Norris System, the style was known as Chun Kuk Do (The Universal Way) from 1990 - 2015. In July 2015, at the annual UFAF International Training Conference (ITC) in Las Vegas, Mr. Norris and the board of directors announced to the membership that we would once again be able to return to using Mr. Norris' name and the Chuck Norris System was reborn, CNS is not an ad hoc collection of various techniques from different systems. Rather, it is a style with a deeply rooted traditional foundation of its own - now unique and different from its Tang Soo Do predecessor - to which various other elements that complement its fundamentals have been added. The Chuck Norris System has come to emphasize self defense, competition, weapons, grappling, fitness, and more. Fitness- The study of the Martial Arts offers several unique advantages to the physical fitness of the student. The training usually performed in almost any place without the use of weights or special equipment; it may be practiced individually or in groups. Since the body sets its own limits, injuries or strains are rare and the physical condition of the student pace him automatically. The entire muscle system of the body, from the fingers to the toes is brought into play. The emphasis in twisting the trunk, in executing the kicking movements and in counter-balancing the hand movements build a firm, well-muscled abdomen. The high leg raise proceeding most of the kicks in the Martial Arts also develops the side of the trunk and inner thigh muscles. The typical training regime, involving extensive movements of the entire body, raises the pulse rate and oxygen characteristics of the heart and lungs over an extended period. This increased ventilation is termed an aerobic effect and provided the following benefits: ⦁Helps the lungs operate more efficiently. ⦁Enlarges the blood vessels, making them more pliable and reducing the resistance to blood flow, thus lowering the diastolic blood pressure. ⦁Increases the blood supply, especially red blood cells and hemoglobin. ⦁It makes the body tissue healthier in supplying it with more oxygen. ⦁It conditions the heart, providing more reserve for emergencies. ⦁It promotes better sleep and waste elimination. The UMAD Youth Program teaches children Martial Arts techniques such as how to kick, punch, and block but we never lose focus on the inner teachings of martial arts: the development of a strong mind, body and spirit. Classes are fun, yet structured and disciplined to build your child's Self-Control and Confidence. Martial Arts classes are fast paced, educational, and empowering - and designed to challenge your child to be their best. UMAD combines The Chuck Norris System, Krav Maga, Brazilian Jui-Jitsu and Functional Fitness to create a Modern Martial Art system. This system is used as a vehicle to teach children lessons in Attitude, Behavior and Character (ABC’s of Success). Fun games and challenges will further develop their Confidence, Focus, Discipline, Control, Patience, and Respect. UMAD refers to these lessons that will help cultivate a child’s emotional intelligence as Mental Martial Arts. Equally as important, is teaching children self-protection. We specialize in Stranger Safety, Bully Proof, and Peer Pressure lessons and scenarios to prepare your child how to deal with those types of encounters. Jiu Jitsu, or Brazilian Jiu Jitsu as it is commonly named outside Brazil, is a grappling orientated martial art/combat sport that evolved from its Japanese roots in 1920’s Brazil, and continued to evolve for many decades after until its present format. This style though previously established in its native country, became highly popular within the northern hemisphere after a series of performances from BJJ fighter Royce Gracie in the early UFC’s (Ultimate Fighting Championship) where he battled against competitors from many different martial arts backgrounds in the no holds barred tournament, becoming the fighting promotion’s first champion. This event proved Jiu Jitsu’s efficiency and helped raise awareness all around the world, becoming one of the reasons behind the sport’s growth (but not the only one). Translated as “the gentle art,” Brazilian jiu-jitsu focuses on using strength and technique in the most efficient way possible to control and overcome opponents of greater size, strength and aggression. With its roots in the Japanese jiu-jitsu of the late 19th and early 20th centuries, the art found its way to Brazil in 1910, when Mitsuyo Maeda, a Japanese jiu-jitsu and judo expert, emigrated to the country. There he became friends with Gastao Gracie, an influential businessman who helped Maeda get established. In return, Maeda taught jiu-jitsu to Gracie’s sons, who became very proficient in the art, eventually passing on Maeda’s teaching in their own schools. The many additions, modifications, and refinements to the art made by the Gracie family were tested against other styles with great success, propelling Gracie jiu-jitsu into the martial arts world and creating a tradition that lives on today. Matt and Nick Serra are the first American black belts under Renzo Gracie, a senior member of the Gracie family world-renowned for his accomplishments in Brazilian jiu-jitsu and MMA. Matt and Nick are proud to carry on the Gracie tradition, sharing their expertise and leadership, as well as their own experiences in jiu-jitsu and mixed martial arts, with their students today. 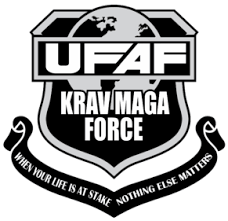 Krav Maga Force™ was founded in December 2010. The core foundation of Krav Maga Force is based upon the Military, Law Enforcement, Private Security, Krav Maga, and Martial Arts experience of its founders Vadim Slavin and Laurian Lapadatu. Even though the Krav Maga Force curriculum is recognized by many experts as one of THE BEST in the world, we are constantly improving and developing our curriculum. 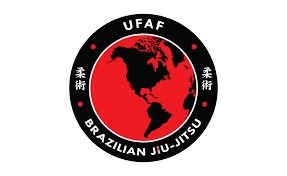 UFAF KMF is only taught through UFAF Chartered Schools or UFAF Certified Instructors, predominately throughout the US, but beginning to expand globally. Level 1 - 5, with levels of black belt.